So far the Union City Tigers are off to a great start, with an early season record of 7-6. Two of the four losses came from 5th ranked Vici and 14th ranked Cashion in the Calumet festival. The other two losses came from a very solid Hinton team and a close battle with the Ninnekah Owls. The Tigers are hitting pretty well as a team with an overall average of .380 and a .486 slugging percentage. 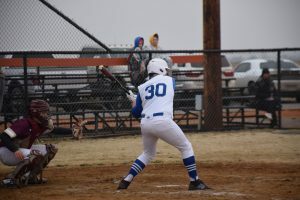 The Tigers have had some great wins this season with dubs over Verden, Geary, and Watonga. They also run-ruled Riverside earlier in the season making it a quick victory. The Union City baseball team has a lot to look forward to for the rest of the season. 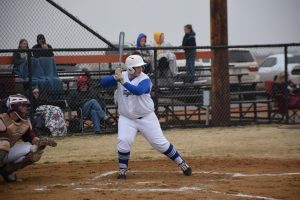 The Tigers had a great win over Destiny Christian on March 26th. Union City run-ruled them 15-5 in a quick match. The Tigers scored 9 of their 15 runs in the first two innings. They had 11 hits and only two errors for the entire game. Kevin Bornemann lead the team with 4 hits, both Bornemann and Jason Schieber had solid hits to the wall. Joshua Morrison, lead the team in stolen bases with three against Destiny Christian. The Tigers are getting ready for the Moss Pirate Tourney and a couple games in the following week. The Tigers had their own UC Cla ssic last Thursday and Friday, they played their hearts out the entire time. 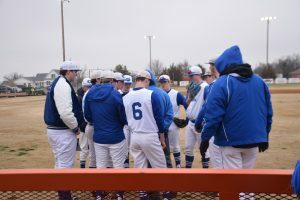 The Tigers played their first game against the Ninnekah Owls getting their first win, and then moving on to Binger-Oney, ranked #12, getting their first loss. They kept their heads high as they went on to play Southwest Covenant, they played hard but took another hard loss. The Tigers will continue playing hard and looking to improve their record. They will continue to utilize the batting cages to better their chances in districts! Good luck the rest of your season Tigers!